Redwood or Composite? Money Saving Ideas for a Fire Pit! This was a challenging residential project due to a number of considerations. First and foremost was the owners budget. Because of spending limitations it wasn’t possible to do what seemed necessary, namely to tear everything out and start over. The deck surrounding a slightly raised, liner type swimming pool was almost completely rotted making it very hazardous to walk on. We were able to salvage some of the 2×6 deck boards still intact and reuse them for sub-framing for the new deck. 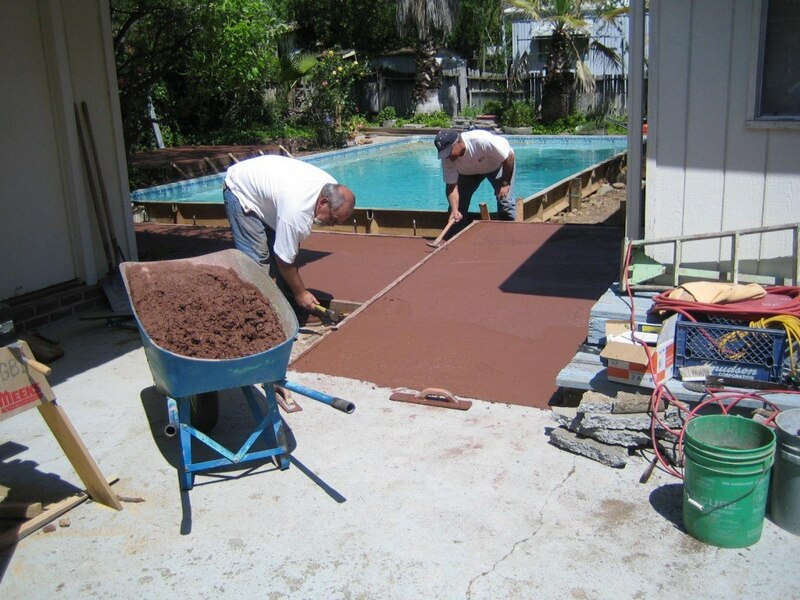 To avoid rot in the future it was agreed to use a composite material for the surface of the new deck and pour in place concrete ramps to replace wood stairs. 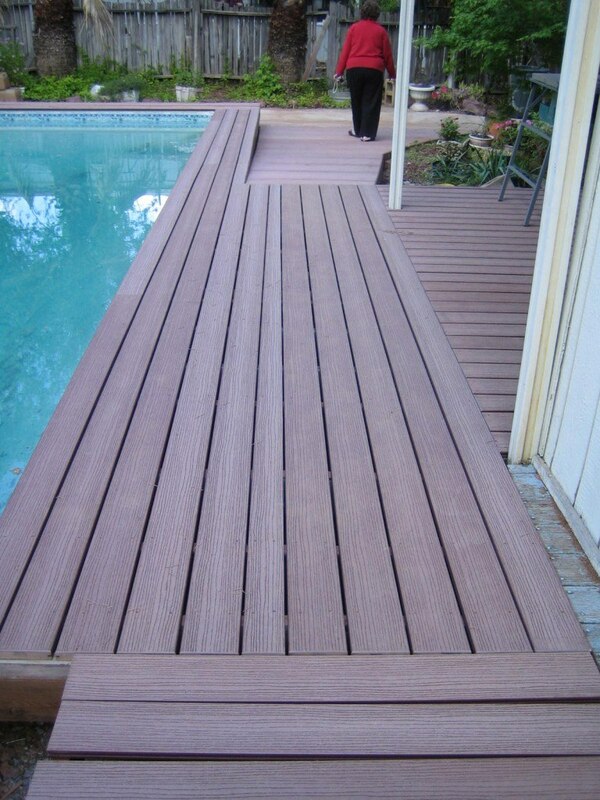 The concrete was colored to match the Timbertech-redwood Composite Decking. The front deck had similar problems and resulted in the same solution including new redwood handrail and railings. Composite materials do not work well for handrails without support every 16″, particularly in hot environments because of softening and sagging. Unlike the composite, the redwood does require maintenance. The new fence was cedar 1×6 replacing split rail. At the new gate, steel posts were used to avoid rot in the ground below the existing concrete. A unique feature was a new concrete patio to the far side of the pol with a fire pit. The owner wanted a gas fire pit but was limited by the cost to access natural gas from the home source. We installed an underground line fed remotely by a 10-gallon propane tank instead.